Out and about in Hornsey! Today it was the turn of Hornsey’s doorsteps to get some calls from me. It’s always lovely to get to talk to people face-to-face – and you never quite know what issues they’ll bring up! 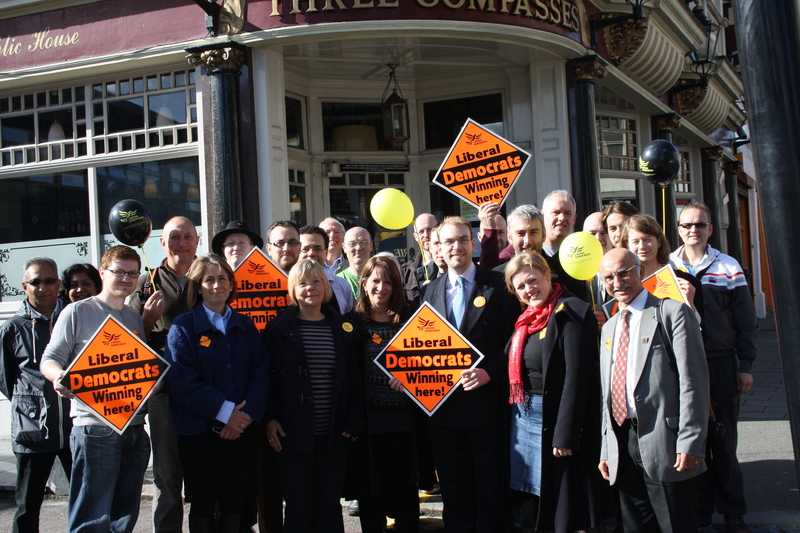 We (a surge of Liberal Democrats) were doing our Community Survey and knocking on the doors in Hornsey. As ever – there were a host of issues bothering local residents from lighting (too little) to bins (too many) – not to mention controlled parking zones! One of the questions was about how people contact Haringey Council and what their experience is when they do! It was fascinating to find that whilst local people were really keen to contribute their views to us on the doorstep – and they certainly had a lot of lively views about local issues – very few of them attended or even knew about the Hornsey Area Forum! It was a beautiful sunny day – and we couldn’t have asked for better weather – not to mention the very friendly and cheerful reception on the doorstep! Thanks to the great team of people who turned up to help today!